The Budget 2017-18 had increased outlay for health sector, but also given push for privatisation of health services. The first development brought little relief for those who want robust public health system but the second trend is worrying. In the last year’s budget, the overall allocation for the health sector, including AYUSH, was increased (Rs 48,852.5 crore) by 27 per cent over 2016-17 estimate (Rs 39,688.1 crore). For AYUSH, the government allocated Rs 1,428.6 crore in 2017-18 as compared to Rs 1,307.4 in 2016-17. However, this increase falls short of meeting the long-standing demand of allocating at least 2.5 percent of GDP for the health sector. In the last budget, the government allocated Rs 27,131 crore to National Health Mission (NHM). In the last few years, it has seen significant increase. Revised estimate for 2016-17 was Rs 22,598 crore. 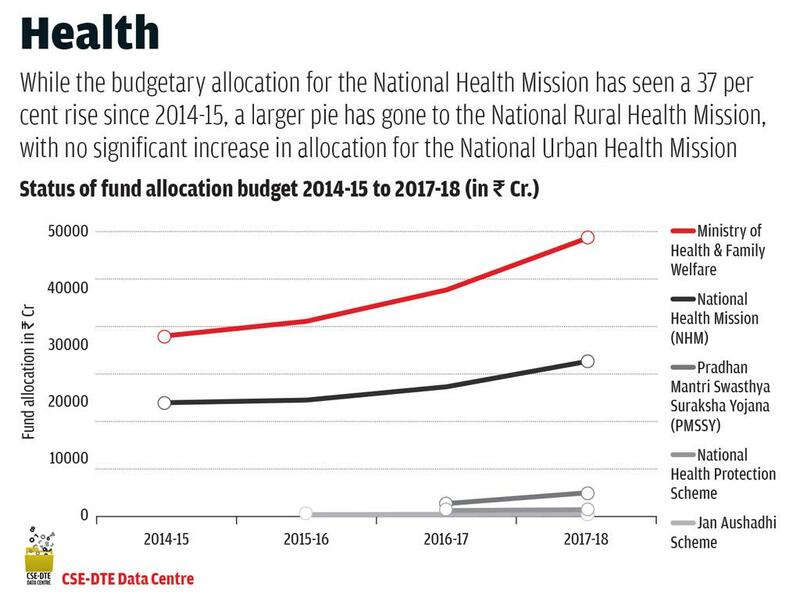 If one goes by the details of the budget in the last few years, it becomes clear that though the government has increased budget for National Rural Health Mission (NRHM) and AYUSH, there is no significant increase in National Urban Health Mission (NHUM). The budget for NRHM was Rs 18,254 crore in 2015-16, which was increased to Rs 21,189 crore in the last budget. But the budget of NUHM has not seen similar spike. The government allocated Rs 717 crore to urban health in 2015-16. In the last budget, Rs 752 crore was allocated for the same. In 2017-18 budget, Finance Minister Arun Jaitley said that an Action Plan has been prepared to reduce infant mortality rate (IMR) from 39 per 1,000 in 2014 to 28 by 2019, and maternal mortality rate (MMR) from 167 per 100,00 live births in 2011-13 to 100 by 2018-2020. However, the allocation to Reproductive and Child Health (RCH) has been reduced. The revised estimate of allocation to RCH in 2016-17 was Rs 7,884.9 crore, while in 2017-18, the government allocated just Rs 5,966.6 crore. Above other things, one more important trend is evident: push for privitisation of healthcare. In 2017, NITI Aayog suggested allocation of certain beds to private players for the purpose of dealing with non-communicable disease. Commenting on it, Richa Chintan, a research consultant with the Centre for Budget and Governance Accountability (CBGA) says that there is too much focus on privatisation. 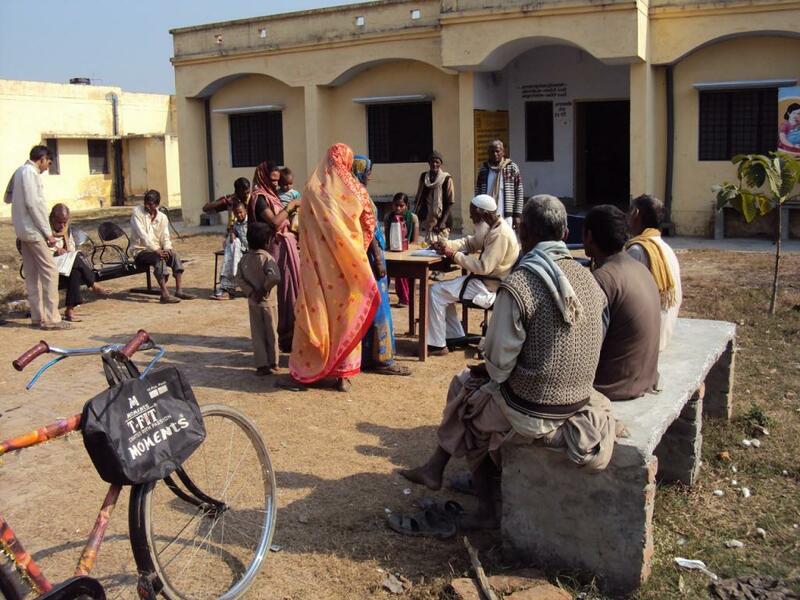 It is known that only a miniscule percentage of total population goes to these public hospitals, she says. If we talk about expectations from this year’s budget, the Centre should increase its financial support to this sector and push for further decentralisation of health services, simultaneously.